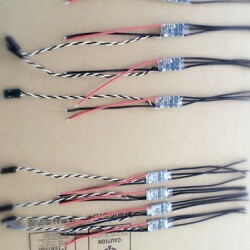 The full name of ESC is the electronic speed control, which has two functions in the power system: one is to supply power to the motor and the other is to control the speed of the motor. 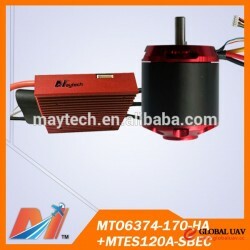 When the multi-rotor drone is in operation, the path motor has a large current and cannot be directly powered through the flight control system. 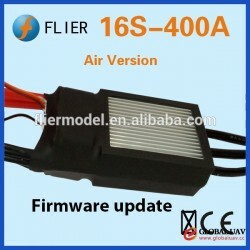 Therefore, the electric motor is often required to supply power to the motor. 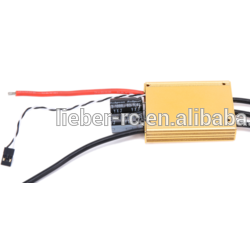 The ESC receives and analyzes the signal from the flight control system and controls the rotation speed of the motor by converting the direct current into the specific pulsed alternating current. 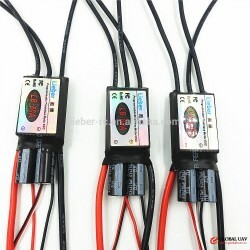 The maximum current: There is a working current on the ESC label such as 20 A and 30 A. This means the maximum continuous operating current allowed within the ESC. 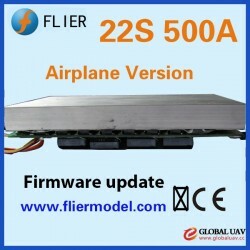 If it exceeds this current, the ESC will be burned out. 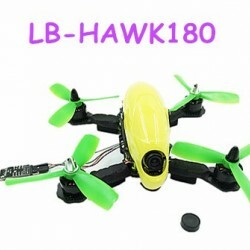 When a multi-rotor drone moves at a high speed or hovers in big winds, the instantaneous operating current will usually be greatly increased. 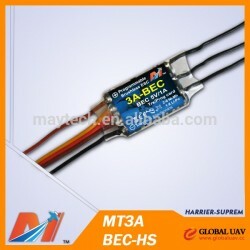 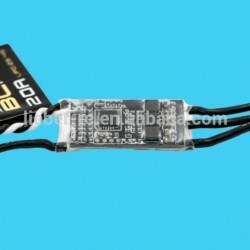 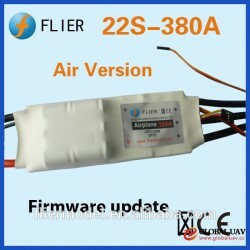 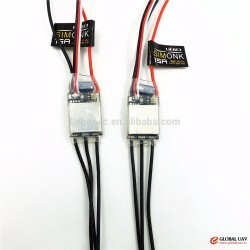 Therefore, we should choose ESCs whose maximum current is several times larger than the normal operating current if their price and construction space are acceptable. 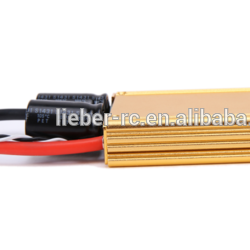 Internal resistance: The ESC has a corresponding internal resistance whose heating power deserves attention. 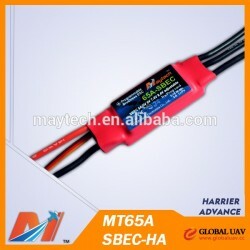 Some ESCs can reach tens of amps. 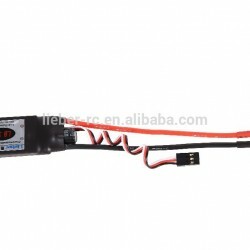 There is a functional relationship between heating power and current squared. 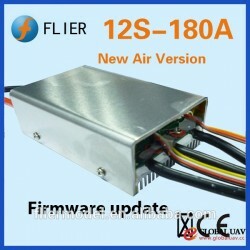 Therefore, the heat dissipation performance of ESCs is also very important. 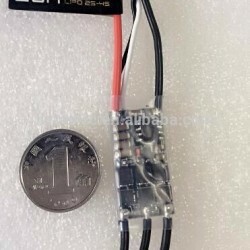 This explains why the internal resistance of high-power ESCs is generally small. 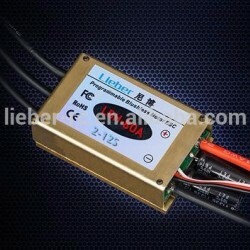 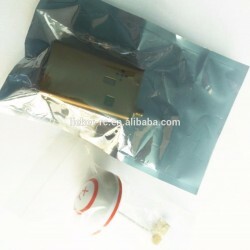 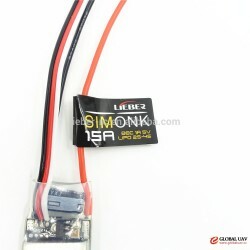 Shenzhen Lieber Electronics Co., Ltd.